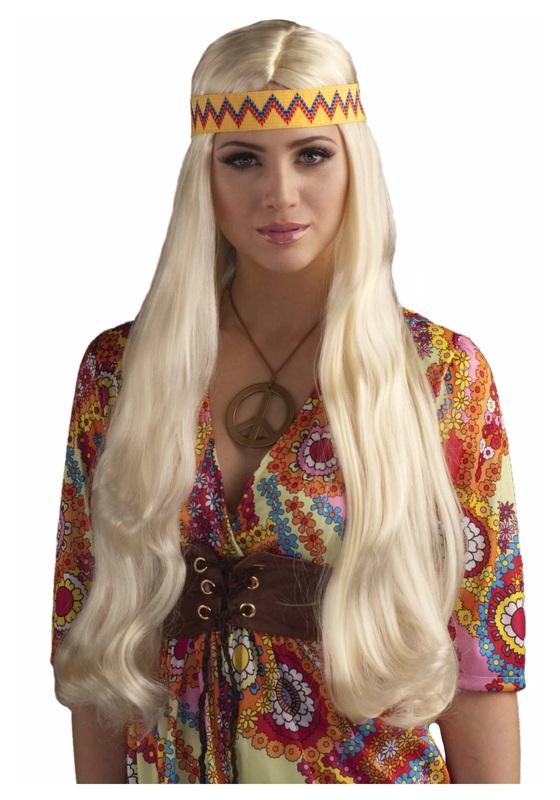 Give your costume an extra dose of grooviness with the help of this totally hip wig. You'll have the hair of a flower child (not to mention the energy of Mother Earth herself) in seconds when you wear this Blonde Hippie Chick Wig. This goes well with any of our hippie costumes. The possibilities are endless: you can be a peace-sign-toting proponent of flower power, Cher back in her days with Sonny, or even Rapunzel! To add to the versatility, you can slip this onto your noggin with or without the headband—it snaps onto the back of the cap, or not, as you choose. Pair it with a bright, colorful, flowy sundress that captures the spirit of the 60s and you'll have all eyes on you throughout whatever costume party or Grateful Dead concert you decide to groove at.